The concept of “implied consent” was created by American traffic safety officials working in an agency of the federal government called NHTSA. This stands for the National Highway Traffic Safety Administration and is part of the Department of Transportation. Starting in the late 1940s, NHTSA began discussions with states to convince them that every state government needed to pass laws that created a civil punishment and loss of driving privileges, for any driver who refused a post-arrest testing of blood, breath or urine, for an alcohol test that would reveal the level of intoxication due to ethanol. Hence, the person who chooses to drink alcohol and drive was more likely now to be tested to see what was in his or her system than ever before. Before law enforcement starting arresting and prosecuting drunk drivers, no one in America had created a drink-per-hour BAC chart. Since that time, the major breath alcohol test manufacturers have built, released and sold dozens of different models of their forensic testing devices. The competition to create more sophisticated and reliable chemical test devices has led to more precision alignment for most devices, without being so susceptible to interfering substances. In the early days, drug testing was simply not on the radar, since then-existing laws targeted alcohol consumption and the eventual intoxication of the person driving. The only reliable method of getting evidence of a person’s alcohol level was with a blood test. Officers and local government officials found that process to be costly, time-consuming and often difficult, as people resisted being stuck with a needle. Scientists Dr. Rolla Harger and Dr. Glenn C. Forrester invented reliable, affordable breath alcohol testing devices by 1940. By 1953, implied consent laws were being enacted across America, to take advantage of quick and easy police breath testing on these new devices. Indiana police officer Robert Borkenstein then patented the Breathalyzer in 1954. This simple-to-use and less expensive and complicated device became the most widely used ethanol breath testing device for decades. All early devices were based on chemical-reaction technology. Alcohol: a colorless volatile flammable liquid that is produced by the natural fermentation of sugars and is the intoxicating constituent of wine, beer, spirits, and other drinks, and is also used as an industrial solvent and as fuel. Historically, fermented fruits created the first alcoholic beverage. This discovery from over 10,000 years ago predates written history, but so do Aesop’s Fables. Although no correlation was made for many years, alcoholic beverages were found to be safer to drink than the water in many locations, especially larger cities before sewage systems were invented within the last two centuries. This is explainable due to the antiseptic qualities of ethanol, in killing many microorganisms. Alcohol has been used in religious and non-religious rituals, as an ingredient in patent medicines in the 1800s, and is still used in products like Nyquil. One hundred years ago, alcohol was as an antiseptic and medicinal agent. Although ethanol was once used for these types of therapeutic purposes, it no longer is recommended for such uses because an alcoholic will drink ANY beverage with alcohol in it, including Listerine or Scope. Today, we fuel our cars with ethanol-laced gasoline. Where Is Alcohol Found in the Human Body When Consumed? Alcohol is detectable in any fluids or vapor coming from the human body, but creating a device that precisely measures and reports that “number” is the engineering feat. Once laboratory testing by chemists and engineers 80 years ago produced studies showing what the conversion ratio was between alcohol in the blood and alcohol from a breath sample, mechanical devices could be manufactured. A Swedish scientist named Dr. Erik Widmark is considered the Father of Alcohol Science. Below is both the chemical, molecular formula for ethanol and a model showing the structural layout of the molecule. Over time, instead of just imposing administrative penalties like suspension or revocation, the legislatures in multiple jurisdictions added felony and misdemeanor criminal sanctions to their respective state laws, bolstering the incentive to NOT “refuse to be tested.” In these states, a person can be acquitted of DUI-DWI, but be convicted of criminal refusal and spend many years in prison (for repeat offenders). Other states, like Georgia, Alabama, South Carolina, and North Carolina have enacted legal provisions enabling an officer who has a “refusal” arrestee to obtain an electronic search warrant for blood, to provide the needed forensic test of bodily substances by judicial order. The constitutionality of criminalizing a DUI refusal was conditionally upheld by the United States Supreme Court in 2016, in the case of Birchfield v. North Dakota. 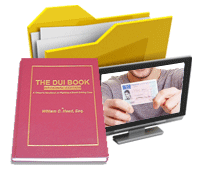 The job of a DUI attorney is to know the Georgia DUI laws, including all possible defenses and suppression motions for eliminating the implied consent test, if possible. Various states (including Georgia) enacted new laws, and some jurisdictions passed laws that permitted the driver to obtain a “hardship license” that might give a restricted driving permit for work purposes, and some did not. The federal government did not seek to create a national, federally-imposed implied consent law, like all other countries have in place. Georgia DDS oversees all GA DMV issues, including eligibility for a new ignition interlock device option for arrests made July 1, 2017 and after. This law covers rules for using the limited driving permit associated with that new law. By means of this unstructured legislative action across America, depending upon the group of Legislators controlling the specific State government, some states enacted Draconian laws, with very harsh consequences for those who refused post-arrest testing. Georgia DUI laws for such implied consent procedures to check the legal drinking limit within an arrested driver’s body have been altered and amended more than a dozen times since enactment over 60 years ago. What Is an Alcohol Test? The target of alcohol testing is to reveal the true BAC level of alcohol in the blood. Because blood testing is particularly invasive, due to inserting a needle under the skin of the person being tested, the U S Supreme Court has recently distinguished prior cases (e.g., Schmerber v. California) decided by the high court. Early cases, in the 1950s and 1960s, had held that the evanescent nature of a human’s being’s alcohol level dissipating rapidly justified NOT delaying the capture of a sample by mandating compliance through permitting legal counsel to be consulted. In Missouri v. McNeely, from 2013, the distinction of blood testing from urine or breath is made clear by the U.S. Supreme Court: police need to either procure a warrant or be able to carry a heavy burden of proving why no warrant was sought, when a less invasive type of forensic test would suffice to yield a “number” and be legally sufficient to be admissible at court. One such example of when a blood test might be sought without a warrant is where suspicion existed of an impairing substance other than alcohol, creating the necessity for a TYPE of test that could quantitate drugs other than alcohol. If an officer needed blood, and a Magistrate judge was not available to sign a warrant, this scenario might create the need for a blood test. How Do Alcohol Tests Work? Different forensic testing methods are utilized for testing various biological samples, such as blood, urine, or breath. Any other bodily fluids, such as saliva or sweat can be tested, too, since a known ratio of relationship exists for all human body fluids or tissues. Simply stated, every state crime lab selects and utilizes one or more methods of checking legal blood or urine samples qualitatively and quantitatively. The goal is to test breath alcohol and report the amount of alcohol with reliable readings that would correlate closely with blood alcohol testing. Every device under federal approval requires proof of the forensic device’s interferent detection, since human breath can contain a plethora of such compounds. Ideally, the tests detect only ethanol. In connection with learning how to use and service these new devices, State crime lab or forensic science workers must undergo factory training. So, a manufacturer may require an 80-hour training program, before certifying that a State employee can perform maintenance and make repairs to a breath instrument. These trained technicians may then teach officers a limited version of “how to operate a breath machine,” with a training manual and both a practical test and written test. This course could require 16 hours (2 days) or 24 hours (3 days). In the United States, only three breath testing manufacturers currently market computerized breathalyzer devices for criminal cases. Intoximeters, Inc., CMI, Inc., and Draeger, a German manufacturer. So, this oligopoly ends up costing states big bucks, since prices are very high for their infrared or fuel cell devices. By one means or another, the computerized device “reads” the sample chamber and reports the reading in a printed report by creating an internal printer report that can look like a “receipt” from a cash register or a full page (or more) from a parallel printer. The most popular and accurate type of testing technology uses infrared light to pass through the captured breath sample, from the light source to a detector. 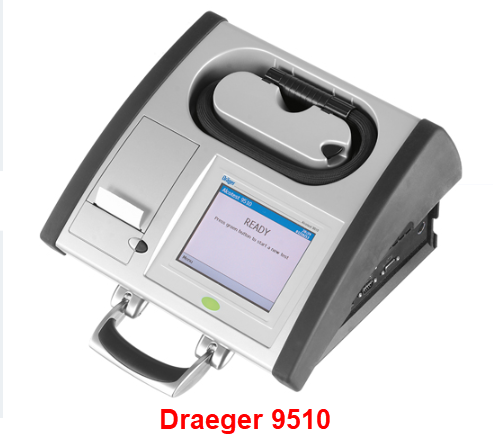 The BAC Datamaster (now owned by Intoximeters, Inc.), Draeger and Intoxilyzer brand of machines use different, patented instruments to yield their forensic result. The Intoximeter EC-IR II reports its results from a reading from a fuel cell device, but also takes a reading (for confirmation purposes) from an infrared light source. When the phrase “forensic breath test” is used, this means an instrument has been subjected to periodic tests of its accuracy by a department of the State government that is maintained and controlled by state police agencies who test detained individuals charged with crimes. The function of such devices is to detect the presence of alcohol, to the exclusion of other similar compounds that can be found in human breath. This “precision” helps stop a false positive result from contamination by other substances. For due process purposes, under the 5th Amendment, all states must implement breath machine training that includes a training manual and hands-on instruction. Only a few states (i.e., California) have enacted laws and purchased forensic hand-held device known as PBTs (portable breath tests) which print out the forensic results for use at court proceedings. The prevalence of breath alcohol tests by all states is for time savings (for their officers), and cost savings. Hospital personnel and emergency room expense for blood testing can be pricey. 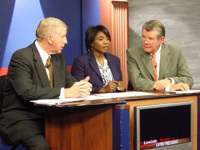 Depending on travel time, overnight shipping costs for the biological samples, packed with ice packs, plus the shipper’s hazardous cargo surcharge and whether a warrant must be procured, plus the added cost of shipping to a crime lab, all add up to be highly costly to the state or municipal government. The depends on the (1) quantity of ethanol, (2) the “proof” level of that alcohol (the percentage of raw ethanol, such as about 5% on regular beer, 9% in wine, about 7% in malt liquor, and spirits that typically run about 40% ethanol to 50% ethanol. Grain alcohol is 190 proof or 95% pure ethanol. This substance readily burns and is highly flammable and combustible. The final determining factor is time. Over time, alcohol leaves the body through a process called elimination. Different from many drugs with short or long half-life predictability, ethanol leaves the body, on average, at about 0.015 per hour. Nothing a person can do such as exercise or drinking coffee (a stimulant) will noticeably LOWER the drinker’s BAC level. So, if a person reaches a 0.36 BAC calculator level, that will require 24 hours for the person’s BAC to drop down to zero again. How Long Can Alcohol Be Detected in Urine? Urine test questions are usually coming from people on probation, or part of a DUI court or Drug Court program. Others are under diversion or other court supervision and are subject to being called and then submit to a laboratory for random urine tests. These tests are a “presumptive” test that is revealed in a measurement of EtG, or “ethyl glucuronide” test. This metabolite is created during alcohol’s elimination from the body. Sensitive analytical instruments used with an EtG test can easily show “positive” readings at “actionable” levels for 48 to 72 hours. A positive reading that is actionable means the person goes to jail, as a rule, for probation violation or non-compliance with a DUI Court or Drug Court-sanctioned item. Multiple factors will control how long a positive reading can be detected, including the health of the person being tested (particularly their liver), how much ethanol was consumed, and how long ago it was consumed. Plus, with non-ethanol samples, other drugs like marijuana can be detected in fingernails and hair for up to 90 days. If charged with a DUI in Georgia, don’t give up and think that there is NO hope to win your case. Our DUI lawyers have AVOIDED having our clients being convicted of drunk driving in most cases. The key to this success is anchored in being fully trained on Georgia’s breath testing instruments. Mr. Head’s training goes back to the 1970s, when the Auto Intoximeter and Intoximeter 3000 were in place. 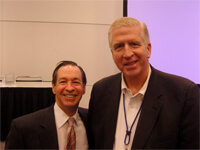 Mr. Head originated the very first Intoxilyzer 5000 training course in October of 1996, at Emory Conference Center. Plus, by handling DUI-DWI cases in other states (MI, CALIF and NC), he has had to fight breath alcohol test results from Datamaster, Intoximeter and Intoxilyzer devices. Mr. Yager, a former law enforcement officer in Georgia, was trained by the GBI on how to operate the 5000 devices, before they were removed from service. 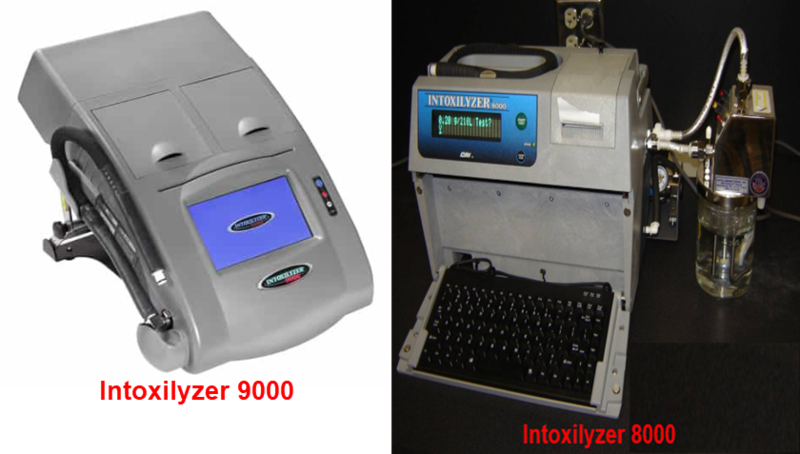 Great similarity in the internal components and functionality of that alcohol breath test device was carried over to the Intoxilyzer 9000 in Georgia. One example of this is that the 1.1 liters of deep lung air that is necessary in each breath test exhalation was retained for the model 9000. Bubba Head is one of the only attorneys in Georgia to have had hands-on experience with the new model for Georgia’s breath test device. The GBI restricts where CMI can sell their Intoxilyzer 9000 devices, so Mr. Head had to travel to another state for training. Don’t search for lawyers near me and hire the cheap DUI lawyer. If you do, expect to get what you paid for. 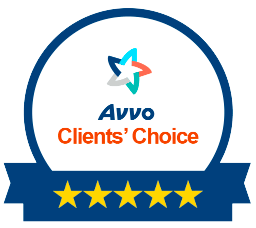 Look for Atlanta attorneys who have a reputation for winning when others simply push clients into pleading guilty. Our job is to KNOW HOW to beat a DUI. For FREE legal advice at your initial appointment, call our 24-hour lawyers for DUI defense. Bubba Head, Larry Kohn and Cory Yager are all experienced at fighting drunk driving and drugged driving cases. Get a FREE lawyer consultation by calling 404-567-5515.